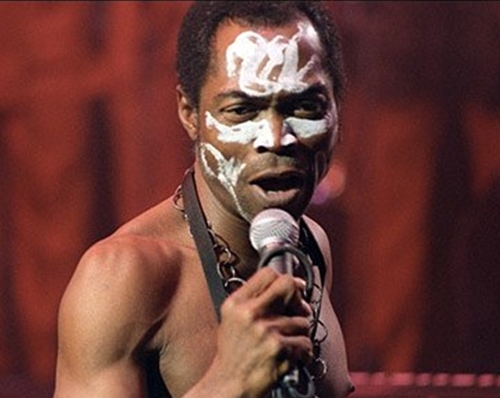 A throw-back report has revealed how legendary afrobeat musician, Fela Anikulapo Kuti lamented on Biafra, which is recently being championed by Nnamdi Kanu. Ever wondered about the views of outspoken Afrobeat maverick, Fela Kuti, on the failed secession bid of Biafra and the civil war of 1967 to 1970? A first-person biography of Fela, written by Carlos Moore, contains an account of his standpoint on the issue. ‘Fela: This B**ch of a Life’, originally published in 1982, is based on hours of conversation the author had with Fela. An excerpt from chapter nine of the book sees Fela talk about the Biafran war and what secession would have meant for Nigeria, had it been successful. What Fela said; “The Biafran war had started in ’66 and was now fully underway. I was in Lagos, playing music. I didn’t like the Biafran war though. I thought the Nigerian government was wrong. I thought the Biafrans were right. The Yoruba are not Ibo. I thought the Ibos were right. “I said to myself, “This whole thing is a cheap, big hustle to put the Ibos in a bad light in the world.” And, in fact, what was happening was the beginning of corruption in Nigeria. That’s evident now. “The Biafrans were f***ing right to secede, man. If it was secession, it was good secession. Because secession is what could have brought Africa together at that time. From secession, we could come together again. But by not seceding, we’re put together by force. Uhuhhhhhh! That’s what’s happening in Nigeria today. The Ibos don’t understand why they’re in Nigeria. “The Yorubas don’t know what’s happening. And the Hausas, they want to dominate everybody. The whole thing is f***ing confusion. I don’t even know myself why we’re in Nigeria; how we all got to be together in this country, in the first place. No politician has ever gone into that. If Ojukwu had seceded, we would have started our own history. We would have known why we seceded and what happened. “How did we get together in the first place? Uh? That’s the real question. Why don’t any of the politicians ever ask that question? Eh? Anyway, at that time, when the war was going on, I wasn’t politically minded at all.